Radio Commander is a real-time strategy simulator developed by Serious Sim. 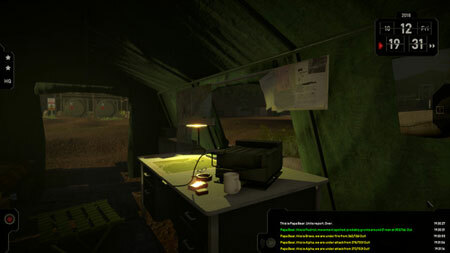 You are playing as an American military commander serving in US Army during the Vietnam War. You will be carrying heavy burden as your mission is to coordinate military operations taking place between 1965 and 1967. Decide the fate of your soldiers. The choices you face will have a direct impact on the course of the game. You must be prepared to answer tough questions about the righteousness of your actions, price of a human life, and the toxic power of propaganda and stereotypes. If you get stuck in the game, check out the video walkthrough and gameplay for the game. This entry was posted in PC Games, Walkthrough and tagged Radio Commander Cheats, Radio Commander Gameplay, Radio Commander Guide, Radio Commander Strategy, Radio Commander Walkthrough by Marvin. Bookmark the permalink.